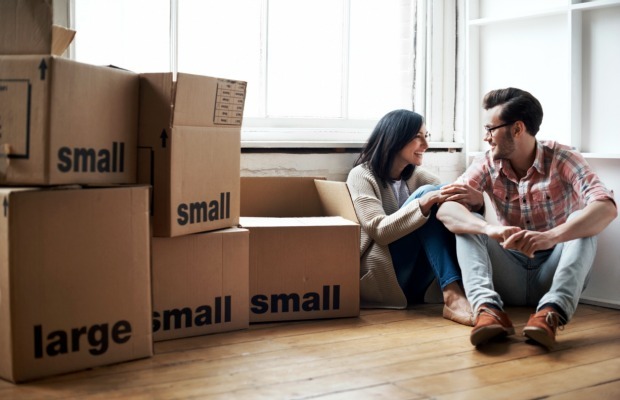 If you’ve read our blog before, then you know that what it takes to unpack a new apartment can be considerably different than unpacking a new home. From high-rise apartments to moving with kids and seniors, every move has its own unique set of challenges. That said, there are some aspects to a move that every person will encounter and these form the bedrock of any successful move. Below, we break down our four top tips that cover both suggestions we’ve made before alongside some others that may have never occurred to you. OK, we know, we’re pretty big fans of making the ultimate checklist. But this is your best bet for ensuring that your move goes off with little to no hitches. Just check out our own checklist tool. You can move the date from a month before the move to a week and even a day to see just what items you should have taken care of at particular points of the moving process. After all, a checklist is much different than taking an inventory of all your items. A checklist is your guide, your personalized map for navigating any complex move. From calling to make sure you have an appointment to have your internet set up to putting necessary items in storage to so much more, there’s simply more than the human mind can retain that one has to keep track of during a move. Save yourself the stress and let your checklist do the work. When packing, while we’ve covered many of the essentials like how to pack wine glasses and plates and silverware, here are a couple extra tips to keep in mind. Firstly, when packing a box, always make sure to load the heaviest items at the bottom and place the heaviest boxes at the back of the moving truck to add balance. Secondly, taping boxes is an art form in and of itself and there are several techniques one can use. Our suggestion? Use as many as you can to guarantee that nothing will come falling out of that box. Whether it’s us or some of the other best Chicago professional movers, you’d be shocked at the number of companies that are happy to just share some tips if you’re planning on the move yourself or are hiring them or us to assist you. After all, it’s our job to make sure every person who calls us has a safe move so we make it a priority to, at the very least, impart some of our moving wisdom accrued over the years. Of course, when you hire the best Chicago area professional movers, you’re also buying our expertise so whatever question or request you may have, make sure you learn all you can before the big move to cut down on any avoidable headaches. Lastly, once you’ve gotten settled into your new home or apartment, chances are it will take a solid few days to get your kitchen up and running with plenty of groceries and everything else needed to make a home-cooked meal. To save yourself and anyone else involved in the move the stress of scrambling for food each meal, have a binder of local take-out menus, or simply fire up Seamless or GrubHub, to keep everyone fed, happy, and working!